The very base of an EHR system is technology. From the implementation of EHR to its usage, every step involves technical aspects and procedures. 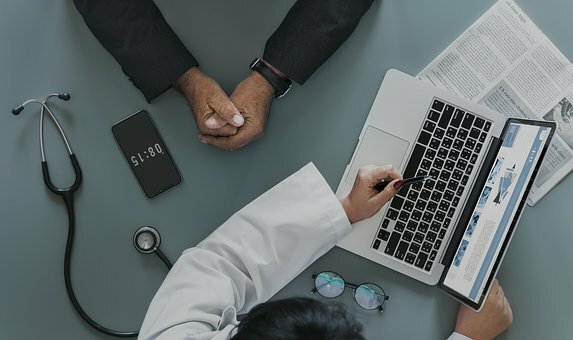 Medical practices using EHR can store health information electronically in a digital format and share them via a connected network. Here when we talk about the network, the very first requirement that we can think of is an uninterrupted internet network. 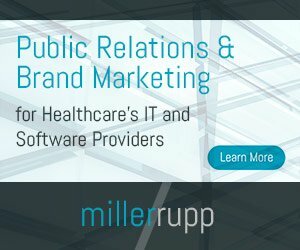 If the internet connection is not proper, EHR cannot share data, which creates a technical challenge for the provider to combat. Moreover, if your practice location is in a rural setting, then internet connectivity is bound to under perform. Hence, in such a situation, connecting to the desired system can be difficult, and the overall EHR implementation experience turns out to be stressful. The use of EHR to store, maintain, and share data within the practice network makes the job easier for a medical practice. However, the entire process from adoption to implementation and maintenance can turn out costly especially for a small practice. Hence, in most of the cases, it has seen that although practices adopt EHR, later due to financial constraints, they leave it halfway. It is difficult for a startup or a relatively small healthcare facility center to invest a lot in EHR during their initial years. Everything from building physical infrastructure to training and support involves enormous expenses. Hence, it is essential for a practice to have a proper investment plan and funds in place before finalizing EHR adoption. At the time of EHR adoption, not everyone will agree or cooperate. There will be hurdles from your coworkers and even patients who will object. Moreover, once a patient or the provider faces even a little technical problem during initial implementation, they will immediately decide not to use it. They refrain from using EHR any further. All these negative responses act as barriers and are likely to create difficulties and pose a challenge. However, one should be ready to face them and address every individual opinion accordingly. The primary purpose of using EHR is to steady the workflow and keep the record-keeping process more organized and sorted. However, if the EHR does not align with the practice’s system and work structure, then it may do the opposite. Hence, while implementing EHR, the provider must keep in mind to ask for a proper demonstration from the vendor. Right from implementation to how to fit the EHR into the workflow, the EHR user must have detailed knowledge. Without understanding how to use it, often practices face difficulty with handling EHR. It disrupts the workflow, and instead of easing the work, there created more challenges for the providers. The implementation of EHR also requires the provider to train its employees for the new workflow. Moreover, for this, the medical practice will have to shed a good amount on training material, support, and resources. Without proper training, coworkers will not know the best and effective use of EHR. As a result, they fail to implement EHR and align it with their system to derive the many benefits it offers. Hence, the provider must arrange for adequate training programs to ensure the successful implementation of EHR. However, spending on EHR systems will dominate technology-spending budget in 2019. One of the major setbacks that prevent healthcare providers and patients from using EHR is the privacy concern. As the data is available on a digital platform, security concern over data breach and cyber thefts are apparent. Most of the providers hesitate to use EHRs thinking about the loss of information because of cyber hacks and natural disaster. Hence, ensure that your security checks and privacy measures are in place before implementing EHR in your system. The sudden shift from traditional record keeping to EHR brings in a lot of work for the provider. The process of migrating data from their existing database to EHR is a time-consuming and challenging task. Moreover, when dealing with sensitive and private patient data, extra caution and care are mandatory. Shifting each record without violating its accuracy is a tedious job. Not only the provider will have to move data but also make sure it is relevant according to dates and time. Besides, they need to add new information from fax or mail to the EHR. All these varied responsibilities make EHR adoption a challenging task. It is quite natural for people to respond slow or unwillingly to a change. Hence, getting resistance from your support and clinical staff and even board members is evident. The only way to win their decision and bring in evolution is to carry out proper promotional and marketing campaigns. Medical practices must try to build acceptance and positivity around EHR acceptance across the entire body of staff. With slow and steady implementation and a comprehensive training plan, EHR implementation will turn out to be a successful effort. The main task is to make the staff understand how EHR can make their work faster and better. When they get to know the various useful facets of electronic record keeping, they will no more deny using EHR. The use of EHR enables medical practices to build a better business model and improve job satisfaction. Hence, medical practices must equip themselves with resource and intellectual skills to understand and leverage EHR in the best way possible.